The answers are usually the same, ranging from love of motorcycles, to wanting to make money with their camera and doing what they love to do; taking photos and video. Though, there is a dark side that can’t really be explained until you actually DO it and experience it for yourself, but I’ll try. Most folks see the end result of our work. Fancy photos posted up, or a new video of some bikes ripping it up on a track, engines screaming to a rockin soundtrack. Seems simple and fun. Fun? ABSOLUTELY. Simple? Absolutely not. I have gotten more injuries doing this job than I have in my life time, some close to life threatening. Some of these injuries include Bursistius, Celliouitios, Staff infections, heat exhaustion, heat stroke, pulled muscles from every part of my body.. and the list goes on. Partly because I am out of shape, but mainly because of the risks we take to ensure the best, absolute quality we can produce for our fellow customers and racers. Most of the long car rides with the 4theriders team are about angles, shots, ideas, and excitement. But when it comes time to work, it is WORK. Hard, hot, exhausting work. And you know what? We love it. We go for days, if not weeks at a time traveling all over to do what we do, spending precious time away from our understanding families. End result is that riding is in our blood, we live it, breathe it, and want to capture our customers excitement and emotion that we feel when we are out there on the track with you, filming AND riding. This entry sparked my mind when I was filming on Saturday at RFR. It was raining and the track was wet. An idea was born to open the tailgate of Joes Element, and I would hang out the back of it on my stomach holding a $5000 camera inches from the ground while a racer chased us. My only security was someone in the car holding onto me by my foot. I kept hearing Joe and them yell stuff to me, but all I could hear the roar of the bike and the tires spitting up water on my face. It was putting 100% complete trust in my team to keep me safe and protect me. You know what? It all paid off, because the 2 second shot we got was absolutely beautiful. The kind of shot you watch over and over with your team because of the combined effort it took to acomplish it. When the summer hits and the race season kicks in full gear, I load up my backpack, tripod, and set out to the track for hours at a time, no shade, in unstable terrain. Sitting under the 100+ degree temps, its unloading the camera, getting it setup, getting the shot, and often running full tilt to get to the next corners to get a variety of shots for our customers. I often wonder if spectators wonder, “why the hell is that guy running all over the place like an idiot?” Either way, it gets disgusting out there at times. Again though, it’s the price of admission for doing something I love. Now, there is a dark, seedy underbelly that comes along with doing what we do, especially doing video. We capture, observe, film, and hear close to everything that goes on in the small moto community. You would be incredibly surprised how much a good microphone on a camera can pick up. Often when doing interviews I have to run to grab something and the microphones are still on and recording to save time. While I am gone, I have inadverentaly recorded some mind blowing conversations, some of which were saying things about myself, their co-workers, friends, and customers. GoPro cameras are another great tool I use out in the field to get some great onboard footage. Sometimes the cameras stay running hours after the rider is done, and I could go on for days about the stuff they get. Usually it is your normal track banter, but sometimes the camera reveals more than that. I have seen hidden crushes, heard deep confessions, and observed actions not suitable for children. I hear it and see it all. You know what I do? I delete it. I delete it because it would create nothing but drama and animosity… which is the complete opposite of what I have set out to do. Some people love it, but I hate it. I don’t tell them, I don’t ask, I just pretend I never saw it, delete it without being asked, and go on with my business. Afterall, drama is not my business. Often times we are used as soundboards. Riders and racers alike have confessed some surprising things to us. I couldn’t even begin to count the times sentences have started with, “don’t tell anyone, but….” Some things that are down-right terrible. It puts us in a very odd position. Personally, I do my best to just listen, offer feedback if welcomed, then go on with my own agenda. Other things are discovered by pure accident and we pretend like we didn’t see or hear them. Again, it is a very very difficult position to be in, and in a way, a big responsibilty. The way I see it, it’s not on me. Simple as that. Will I ever spill the beans? No. Other peoples’ issues aren’t MY issues…. but here is a piece of advice for you: Cameras are EVERYWHERE. 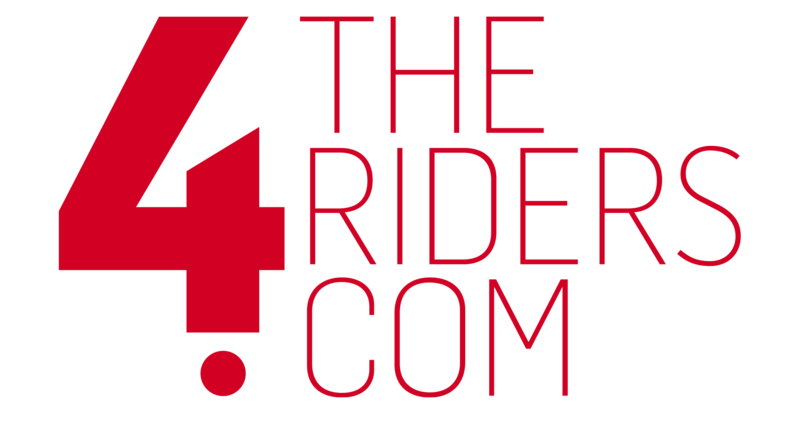 If you are acting like a fool or doing something you shouldn’t be doing, don’t take it out on the guy that might be filming it… But rest assured, if the camera belongs to 4theriders, your secret is safe with us. I don’t know how to read, but those are some hot pikchers. Agreed. I have seen some things through the lens that I wish I could unsee, but had to keep going. On those 115 degree days at T-Hill when Joe makes me walk all the way out to turn 9 I am very thankful for the turn workers water supply. The snow on the back straight of RFR that turned into an 80 degree afternoon, or even worse, the clutch lever that turned out to be a front brake… I still keep coming back for more. Excellent. Thank you for being professional. Blood, sweat, tears, and concience. All of it is appreciated. Great article Kevin. Professionals all the way! I used to work in corporate IT support, and I can relate to the “secrets” aspect of the job. Excellent post. The guys that want to be doing your job, are your fans. Even though your job is really hard, we find it easier to imagine being the photographer, than it is to imagine being the racer. It’s a totally different story for Dan: he _is_ a racer!